Los Angeles offers many family-friendly attractions, including the Disneyland and Universal Studios theme parks, two of the most-visited modern theme parks in the world. 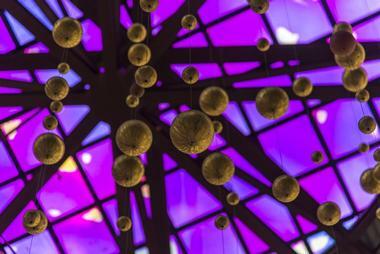 Children's museums and theaters abound, along with a number of public parks and historical attractions. Natural History Museum of Los Angeles County is the West Coast's largest natural history museum, originally opened in 1913 within the city's Exposition Park. Today, it showcases a collection of more than 35 million artifacts and natural history specimens, detailing more than 4.5 billion years of Earth's history. Collections are maintained in the fields of anthropology, archaeology, mammalogy, paleontology, ornithology, entomology, and herpetology, with noted holdings in the areas of mineralogy and Pleistocene-era paleontology due to its association with the nearby La Brea Tar Pits. Three floors of permanent exhibits showcase the museum's collections, including a dinosaur hall, an insect zoo, and an interactive nature lab. 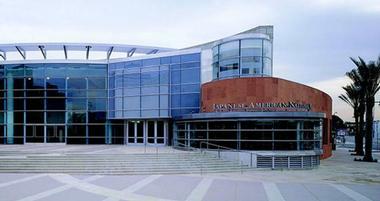 The Aquarium of the Pacific was originally opened to the public as the Long Beach Aquarium of the Pacific in 1998. Today, it is operated as a nonprofit organization and is an accredited Association of Zoos and Aquariums facility, welcoming more than 1.5 million annual visitors. 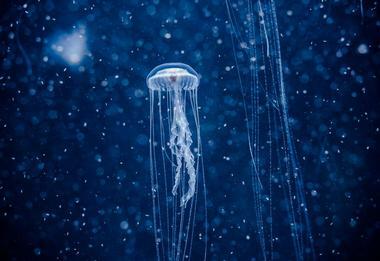 It is home to more than 11,000 marine animals across 500 species, displayed in three permanent gallery habitats. The Southern California and Baja Gallery is home to native SoCal species such as the California scorpionfish, the Cortez rainbow wrasse, and the Mexican lookdown. Northern Pacific and Tropical Pacific Galleries showcase the marine plant and animal life of the broader Pacific Ocean, while a ray touch pool allows visitors to get up close and personal with stingrays. Other exhibits include a shark lagoon, a shorebird sanctuary, a penguin habitat, and a 3,200-square-foot aviary housing rainbow lorikeets. The aquarium hosts a variety of annual special events, including a Pacific Islander Festival and an African Heritage Festival. 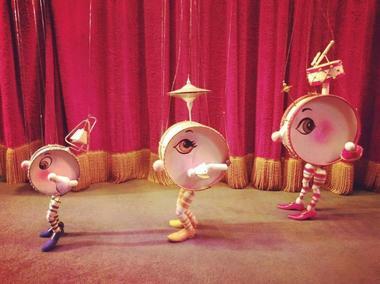 The Bob Baker Marionette Theatre has been a staple of the Los Angeles children's theater scene since its founding in 1963 by its namesake, American puppeteer Bob Baker. Baker began manufacturing marionettes in high school and became an animation advisor for top animation companies in the mid-2oth century, including The Walt Disney Company. His work was featured in top films and television shows, including Star Trek, Bewitched, and Disney's Bedknobs and Broomsticks. Since 2009, the theater has been a Los Angeles cultural landmark and is reported to be the oldest continuously-operating puppet theater in the United States. More than 200 performances are showcased at the theater each year, including comedic puppet skits, story time events, and special tributes to children's television and animation legends. The theater may also be rented for private special events such as birthday parties and school events, with custom-designed shows available for performance during events. 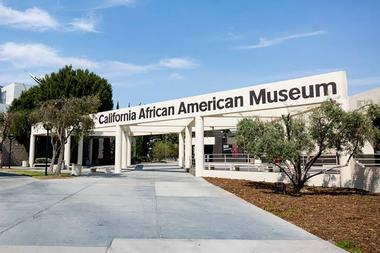 The California African American Museum, commonly referred to as CAAM, is a cultural and historical museum in Exposition Park that strives to preserve and present African-American culture, with a special emphasis on notable African-Americans in the Southern California region. The museum was originally opened to the public in 1981 following a charter by the State of California four years earlier. Since 1984, the museum has been located in a $5 million building in Exposition Park designed by African-American architects Vince Proby and Jack Haywood, officially opened to the public as part of the 1984 Summer Olympics festivities. The museum preserves more than 6,300 significant artifacts and art works related to the history and culture of African-Americans, with a research library holding more than 20,000 volumes available for public use. More than 80 public special event programs are offered by the museum each year, including traveling versions of some of its special exhibits. California Science Center is the largest hands-on science museum on the West Coast, originally opened to the public in 1951 as the California Museum of Science and Industry, though its origins trace as far back as the opening of the California State Exhibition building in 1912. 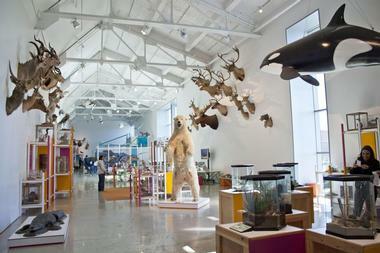 Following significant renovations, the museum was rebranded as the California Science Center in 1998. Today, the museum is a partner facility of the Association of Zoos and Aquariums and the American Alliance of Museums and is overseen in a public-private partnership with the State of California. Permanent exhibits include a 45,000-square-foot zoo and aquarium habitat, a hands-on innovation and invention center, and a large number of aerospace and aviation-related exhibits, including the preserved Space Shuttle Endeavour, which is on display in the museum's Samuel Oschin Pavilion. Los Angeles County Arboretum and Botanic Garden is a 127-acre botanical garden and arboretum facility located in Arcadia, across the street from famed horse racetrack Santa Anita Park. The arboretum is located on the former land of historic Rancho Santa Anita, which housed the Oakwood Hotel and other attractions throughout the late 19th and early 20th century, and was opened to the public in 1956 after more than a decade of garden development. Plantings of native and exotic flora are showcased throughout the arboretum's gardens, including Mediterranean, Asian, Australian, South African, and South American plants. The gardens are open seven days a week, with the exception of Christmas Day, and host a variety of special events throughout the year, including Pasadena POPS summer concerts. Descanso Gardens is a 150-acre botanical garden located on a plot of land that was originally deeded to Corporal Jose Maria Verdugo in 1784. During the property's ownership by Los Angeles Illustrated Daily News owner E. Manchester Boddy, extensive rose, camellia, and lilac gardens were constructed on the estate's grounds. In 1953, the property was transferred to the care of Los Angeles County under the management of the Descanso Gardens Guild, which transformed it into a public botanical garden facility. Today, the garden contains cultivated collections of native and exotic trees, shrubs, and flowers, including a Japanese-style garden and an oak forest and woodland area. Art exhibits are showcased within the historic Boddy House estate, which is preserved as a living history museum. 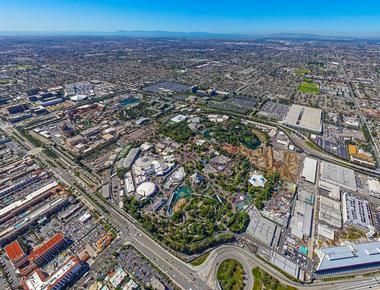 Disneyland was originally opened in Anaheim, California in 1955, the first theme park constructed by the Walt Disney Company and the only directly designed and overseen by company founder Walt Disney. The park complex has been expanded significantly since its 1955 opening, encompassing two full theme parks and a number of upscale and family shopping, dining, and hotel options. As the most visitor theme park in the world, the park has welcomed more than 708 million visitors since its opening. Eight themed lands across its original theme park are home to a variety of internationally-known rides and attractions, including the Space Mountain roller coaster, the Splash Mountain log ride, and the Pirates of the Caribbean themed dark ride. A number of rides themed after Pixar films are offered at the Disney California Adventure park, including one of the few eccentric wheel-style Ferris wheels in the world, modeled after Coney Island's famed Wonder Wheel. 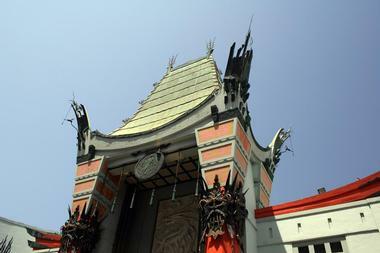 TCL Chinese Theatre, formerly and commonly known as Grauman's Chinese Theatre or Mann's Chinese Theatre, was originally opened to the public in 1927 with the premiere showing of Cecil B. DeMille's The King of Kings. Throughout the 20th century, it served as the premiere site for a number of notable classic films, including the 1977 premiere of Star Wars. Since its 2013 takeover by electronics company TCL Corporation, the theater has been home to one of the largest IMAX screens in America, showing major release first-run films. 3o-minute walking tours of the theater and its surrounding exterior attractions are offered seven days a week for visitors of all ages, elaborating on the theater's history and significance in American popular culture. 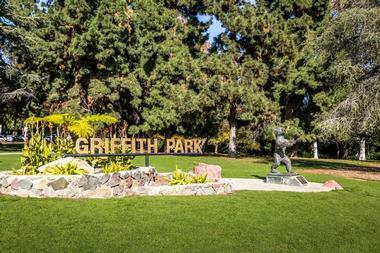 Griffith Park is a 4,310-acre park located within Los Angeles' Los Feliz neighborhood. 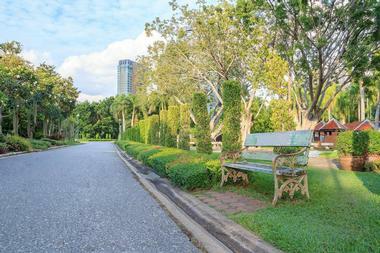 As one of the largest urban public parks in the United States, the park has been frequently compared to New York City's Central Park. It was originally developed as an ostrich farm facility by mining entrepreneur Griffith J. Griffith in 1882, though over 3,000 acres of it was soon donated to the city after the region's property rush waned. Though Griffith's working relationship with the city was severely damaged following a 1903 arrest, he continued to develop attractions on the remainder of the property throughout the early part of the 20th century, including the Griffith Park Aerodome, which was located at the current site of the Los Angeles Zoo and the Autry Museum of the American West. Today, the park is home to a large number of family-friendly attractions, including the Griffith Observatory, Bronson Canyon, the Travel Town Museum, and the aforementioned zoo. 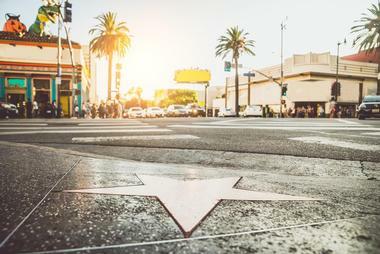 The Hollywood Walk of Fame is one of the world's most famous public monuments to the entertainment industry, showcasing more than 2,600 brass stars honoring influential actors, producers, directors, and entertainment personalities throughout America and the world. The walk was originally proposed by city officials in 1953 and constructed in 1960, honoring an original 1,558 entrants. Today, it is overseen by the Hollywood Historic Trust and the Hollywood Chamber of Commerce, attracting more than 10 million annual visitors. Though it is located outside TCL Chinese Theatre's doors, it is not officially affiliated with the theater or its overseeing corporation. New motion picture, television, music, and theater industry celebrities are honored on the walk each year, with special designations given to select non-entertainment public figures, service organizations and honorees, and fictional animated characters. 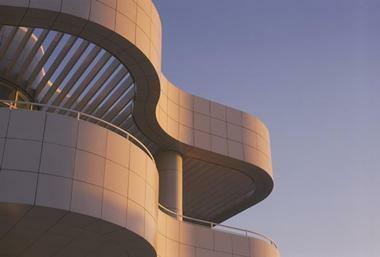 J. Paul Getty Museum is an art museum in Los Angeles' Brentwood neighborhood that was originally opened in 1974 as a replica of Herculaneum's Villa of the Papyri. Today, it encompasses two buildings throughout the city, attracting a combined visitorship of more than two million annual visitors. Its modern Getty Center museum facility houses an impressive collection of Western artwork, with artifacts spanning from the Middle Ages through the present day. Its Villa campus, located in Malibu, houses art and artifacts from the ancient world, including Ancient Rome, Greece, and Etruria. The museum's collections have been called one of the finest private museum collections in the world, housing significant artifacts acquired from Aachen's Ludwig Collection and other international museum donations. 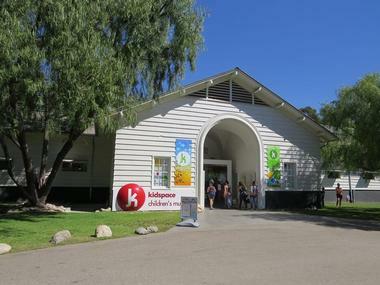 Kidspace Children's Museum was originally opened in 1979 within the California Institute of Technology, presenting a special exhibit addressing the need for supplemental arts, sciences, and humanities education within the San Gabriel Valley. After several temporary facilities, in 2004, the museum moved to its new permanent home in Pasadena, located within the former Fannie E. Morrison Horticultural Center across from the Rose Bowl. A variety of museum exhibits are offered for children ages 10 and under, including a Storyteller Studio and a recreated paleontologist dig site. 2.2 acres of museum gardens offer additional activities, including a tricycle park, a water playspace, climbing towers, and an arroyo-scape environment with educational discovery stations. Daily educational programming is held in the museum's Physics Forest, and public special events are offered throughout the year, including a spring Caterpillar Adoption Days event and a fall Pumpkin Festival. La Brea Tar Pits and Museum preserve the historic La Brea Tar Pits, which are located near Hancock Park in Los Angeles. The natural asphalt pits are a National Natural Landmark, best known for their trapping of animal remains from the Pleistocene era, including saber-tooth cats and mammoths. 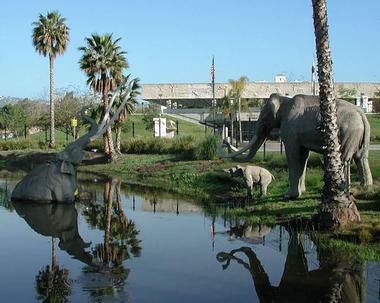 Though indigenous tribes in the region used the tar pits for boat construction purposes, the pits were not excavated until the early 20th century, when mining activity brought significant amounts of fossils to the surface. Today, many of the fossils uncovered at the site are preserved at the adjacent George C. Page Museum, including animal, rodent, insect, mollusk, and plant remains dating back as far as 38,000 years ago. 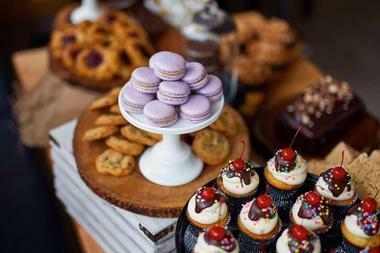 Claudine Artisan Kitchen and Bakeshop was the vision of owners Lea Newton and Anthony Jacquet, longtime friends who partnered to create a combination bake shop and cafe that reflects the multicultural cuisine of the Los Angeles region. The modern Californian cafe offers open dining room and patio seating and serves a variety of all-day dishes prepared with fresh, ethically-sourced produce. Breakfast, lunch, and dinner service are available daily, along with brunch service on the weekends. 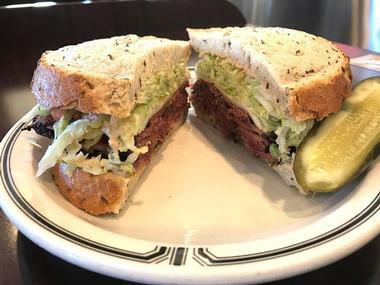 Favorite menu items include signature sandwiches, globally-inspired brunch plates, and the restaurant's customizable Boulevard Bowls, which offer vegetarian and vegan filling options. Locally-roasted Verve coffee is served, along with a rotating menu of local craft beers and wines. Los Angeles State Historic Park, commonly referred to as the Cornfield, is a state park located within Los Angeles' Chinatown neighborhood near Elysian Park. The park is located at the former River Station of the Southern Pacific Transportation Company, which was known as the Ellis Island of the West Coast throughout the late 19th century. In 2001, a 32-acre section of the former station was preserved for its historic significance, nicknamed for the deposits of corn crop leaked from train cars. The park was officially opened to the public in 2006, preserving a five-foot section of the Zanja Madre irrigation canal. Outdoor recreation opportunities are offered, including space for running, biking, and day-use picnics. 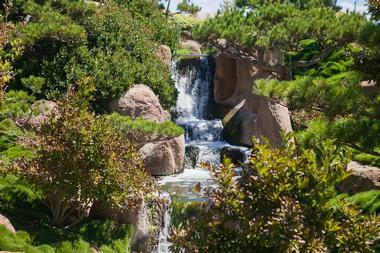 Planned future developments at the park include a public restaurant, themed gardens, and an ecology center. Santa Monica Pier is a famed Los Angeles landmark, originally opened to the public in 1909, with a second Pleasure Pier portion opened in 1916 housing attractions such as the Santa Monica Looff Hippodrome and a number of amusement rides. Throughout the 20th century, the pier's iconic attractions and entryway were featured in a number of movies and television series, including the opening credits of the 1970s sitcom Three's Company. Today, it offers a variety of amusement rides at Pacific Park, including the world's only solar-paneled Ferris wheel. 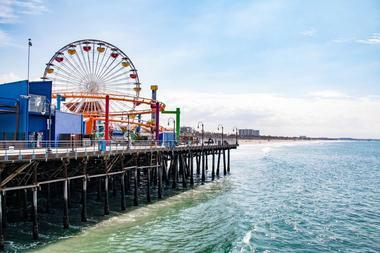 Other attractions include the Santa Monica Pier Aquarium, a trapeze school, an arcade, and a variety of restaurants, shops, and nightlife venues. The Last Bookstore is the largest new and used bookstore in the state of California, opened in 2005 by owner Josh Spencer. The bookstore's name was chosen as an ironic pun reflecting on the declining state of physical bookstores in the wake of ebook sellers such as Amazon. It has been acclaimed by regional and national press, including LA Weekly, Flavorwire, and famed record stations KCRW and KROQ. 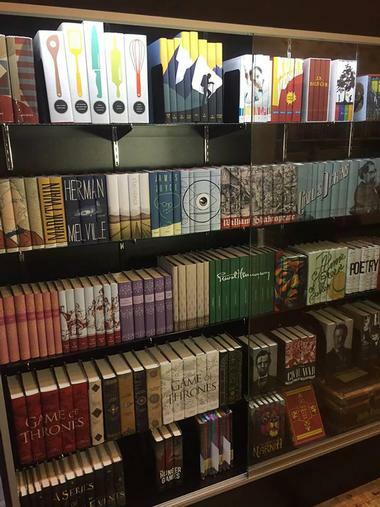 The store is housed within a multi-level 22,000-square-foot location within the Spring Arts Tower, selling more than 250,000 new and used volumes, including collections of rare books and art books. Large selections of vinyl records and graphic novels are also available, along with a yarn shop and an art gallery store. Used books and records may be sold to the store during regular business hours, with public special events hosted periodically, including book readings, signings, and discussion groups. The Los Angeles Public Library is a system of public libraries that serves more than 18 million residents throughout the Los Angeles region, holding a combinated collection of more than six million volumes. The library's Richard Riordan Central Library facility was originally opened in 1926 and is now the third-largest public library facility in the United States, home to a collection of more than 2.8 million books and more than three million historic photographs. It is housed within a 538,000-square-foot historic building that has been hailed as one of the city's major architectural gems, showcasing elements such as a vast rotunda and a modern atrium wing. Nine subject departments are offered, along with a children's puppet theater, gallery exhibition space, and a food court. Docent-led tours of the library are offered seven days a week, including architecturally-focused tours and garden tours. 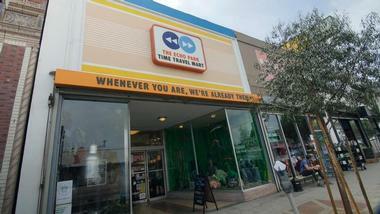 Time Travel Mart is a quirky boutique store offering two locations throughout the Los Angeles region, including an original location in the city's historic Echo Park neighborhood. The mart is operated by 826LA, the organization behind similar themed boutiques in Brooklyn and San Francisco. It sells eclectic gifts and goods marketed as being from all eras throughout the past, present, and future, with an emphasis on humorous items such as Barbarian repellent, robot "emotions," and "past"-ports. In addition to the organization's storefront, it offers a variety of educational courses at its facility for Los Angeles-area students, including creative writing courses. Tongva Park is a public park in Santa Monica that overlooks the Santa Monica Pier and the Pacific Ocean. 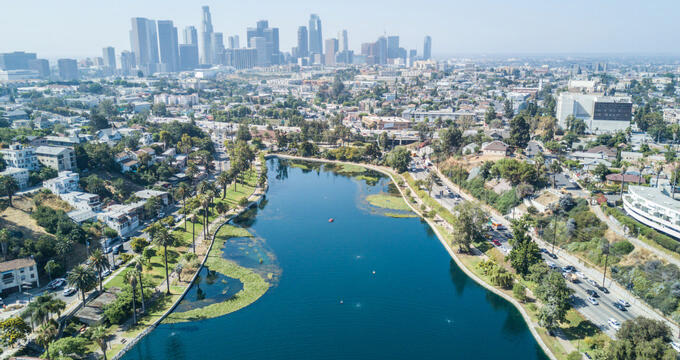 The park was opened in 2013 and is named in honor of the region's indigenous Tongva tribe, the historic residents of the Los Angeles area prior to the arrival of Europeans in North America. It offers 6.2 acres of outdoor recreation opportunities and attractions, including an amphitheater hosting concerts and public special events throughout the year. Children's playgrounds, gardens, and fountains are also located throughout the park, along with several public picnic areas and restroom facilities. The park houses several notable tree plantings, including the "Three Amigos" rusty fig trees, which were relocated to the park at its opening and weigh more than 100 tons apiece. Universal Studios Hollywood is a major theme park in Los Angeles that is located on the lot of the Universal Studios film studio, one of the longest-operating and most famous Hollywood film studios in the country today. The park was originally created within the studio's Universal City area in 1915 to host tours of Universal Studios sets. Throughout the mid-2oth century, a number of amusement rides and attractions were added to the park, turning it into a modern theme park facility that attracts nearly a million annual visitors. Studio tours are still offered at the park, lasting approximately 45 to 60 minutes and showcasing the studio's Upper Lot filming location. Other major attractions at the park include rides and themed lands designed after top Universal films including Jurassic Park, The Mummy, and Harry Potter. 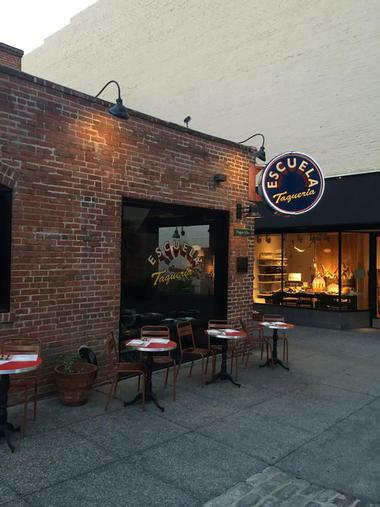 Escuela Taqueria was originally opened on Beverly Boulevard in 2011 by founder Steven Arroyo. The restaurant serves a variety of classic Mexican dishes prepared with all-natural, ethically-sourced ingredients, including meat sourced by local farms such as Niman Ranch and Creekstone Farms. A full taco menu is available for purchase by the individual taco, with fillings such as carne asada, pork carnitas, shrimp, and lobster. Burrito and nacho options are also served, along with a wide variety of Mexican-style salads and side dishes. All dishes offer vegetarian options, with many gluten-free menu options available. On the weekends, a full brunch menu is available, including breakfast taco options. 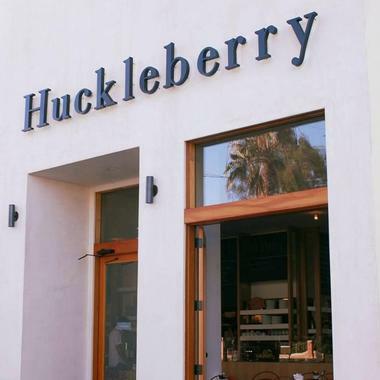 Huckleberry Bakery and Cafe is an artisan bakery and cafe that is owned and operated by Santa Monica natives Josh Loeb and Zoe Nathan. The restaurant was originally conceived after the couple's stint hosting Saturday morning breakfasts at partner facility Rustic Canyon, which Loeb opened in 2006. 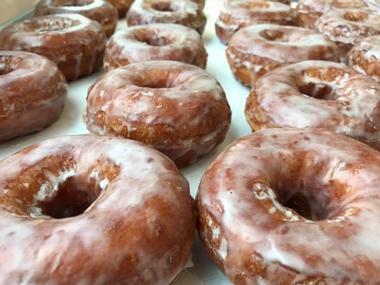 Today, the cafe is part of the Rustic Canyon Family restaurant group, which also oversees local favorites Sweet Rose Creamery, Milo & Olive, and Tallula’s. Since 2009, the cafe has been serving a menu of comfort fare prepared with locally-sourced, non-GMO, and organic ingredients. Breakfast and lunch menus are available all day, highlighting dishes such as full country breakfasts, paninis, turkey burgers, and fried chicken sandwiches. A variety of rotating seasonal dishes are also offered, along with a full coffee bar menu serving Caffe Luxxe coffees.